Learn the backstory of League of Maidens® by reading the books. Read League of Maidens Book 4: The Fall of Man written by Michael Paolini available now!!! FREE DOWNLOAD: LEAGUE OF MAIDENS BOOK 4 – THE FALL OF MAN AVAILABLE NOW!!! One of the best things about League of Maidens is the ability for players to delve deep inside the lore and mythology that leads up to the game itself. League of Maidens Book 4: The Fall of Man written by Michael Paolini is an action packed story that will keep you hooked from from page 1. Learn the backstory of League of Maidens® by reading the first available book “League of Maidens Book 4: The Fall of Man”. Have questions about the book? Want to discuss different points that you took away from it? Caught something in the book that relates to the game? Feel free to post in the message board or join our discussions in discord! 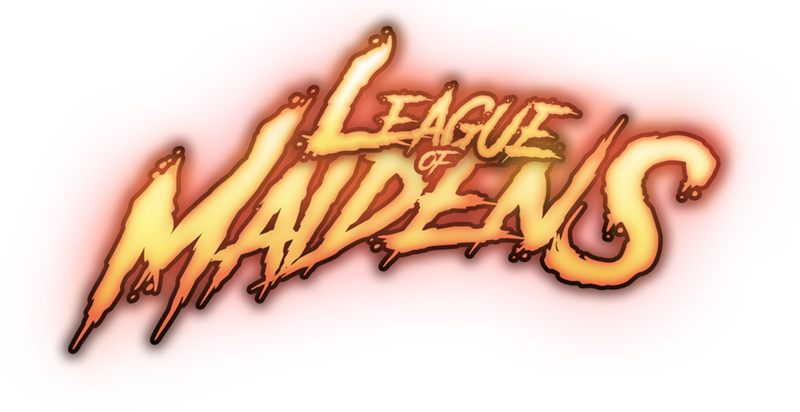 Sign Up FREE for the League of Maidens® Alpha!!! Want to Play? Click here to request access to the alpha for FREE!! !